On this episode of The Catholic Talk Show, the guys talk about the origins of Saint Valentine’s day, who the real historical Saint Valentine was, and other Catholic Saints who can help you in heartbreak and love! Plus the guys share some Catholic “Pick-up” lines! Who was the historical Saint Valentine? What do Saint Valentine’s bones look like and where are they? In this episode of The Catholic Show—the guys talk about the Catholic Church and sports and the fascinating connections between them. Plus all 3 hosts talk about how sports led to their conversions in remarkably different ways. When you think of Christian Rock, the last band you probably associate with it is Black Sabbath. But according to many rock historians, their song “After Forever” is the first true Christian Rock song. In this episode of The Catholic Talk Show, the guys talk about Black Sabbath, Christian Rock, and bad music in the liturgy. On this episode of The Catholic Talk Show, the guys talk about famous people who converted to Catholicism. 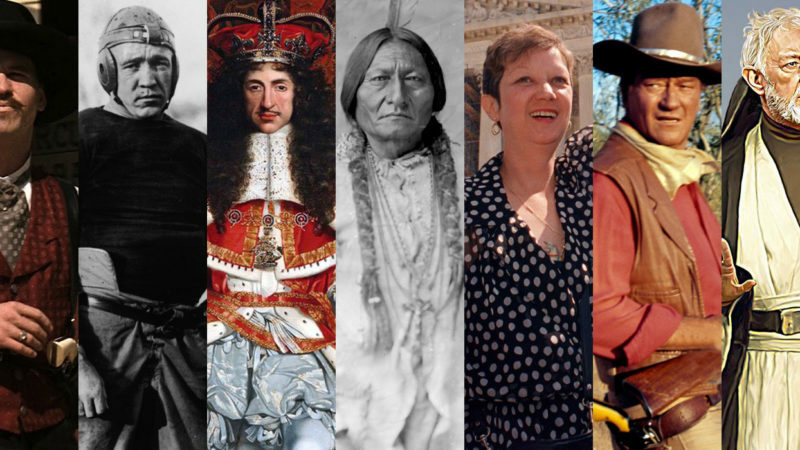 From cowboys to movie stars, athletes to kings, these are 7 fascinating stories of how people made their way home to Rome. Do All Catholic Dogs Go To Heaven? In this episode, the guys explore the relationship between the Catholic Church and man’s best friend and debate whether or not dogs go to heaven. On this episode of The Catholic Talk Show, the guys talk about how the Catholic Church invented New Year’s Day, why we celebrate Mary, Mother of God on the first day of the year, and why Catholics could be excommunicated for speaking about the Holy Prepuce. On this very special Christmas episode of the Catholic Talk Show, the guys talk about the origins of Christmas traditions like stockings and trees, why Jesus WAS born on December 25th, and the crazy story of how the REAL Saint Nick busted a serial killer! The appearance of Our Lady of Guadalupe to Saint Juan Diego in December of 1531 is one of the most amazing and powerful events in human history. The miraculous image she left behind continues to confound scientists and inspire believers nearly 500 years later. On this Episode of the Catholic Talk Show, the share 8 astounding facts about Our Lady of Guadalupe. The Popemobile is probably the single most famous car in the entire world and its history is fascinating and has more turns and twists than a mountain road. On this Episode of the Catholic Talk Show, the guys talk about the history of papal transportation, from the horse-drawn carriages and trains to custom-made Mercedes, Ferraris, and Lamborghinis. Jump in, buckle up, and get ready for a ride!! !